You can count on these apps to meet your needs for productivity, communication, and entertainment. MPDroid is available on Google Play and F-Droid. 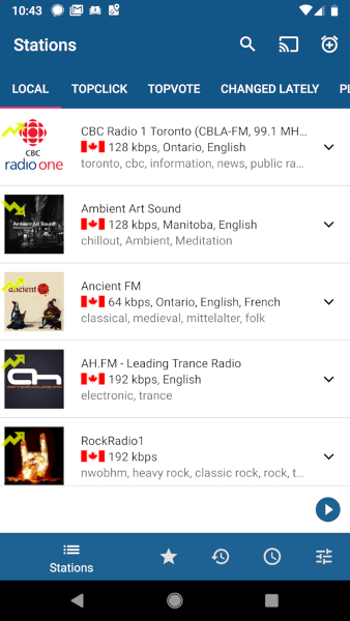 RadioDroid is to internet radio as MPDroid is to managing my music database; essentially, RadioDroid is a frontend to Internet-Radio.com. Moreover, RadioDroid can be enjoyed by plugging headphones into the Android device, by connecting the Android device directly to the stereo via the headphone jack or USB, or by using its Chromecast capability with a compatible device. It's a fine way to check the weather in Finland, listen to the Spanish top 40, or hear the latest news from down under. 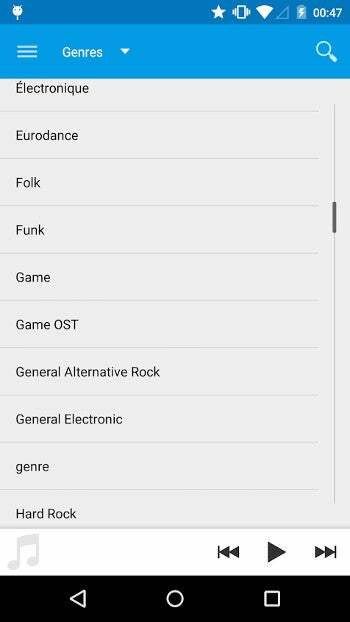 RadioDroid is available on Google Play and F-Droid. If you like WhatsApp but are bothered by its getting-closer-every-day relationship to Facebook, Signal should be your next thing. The only problem with Signal is convincing your contacts they're better off replacing WhatsApp with Signal. 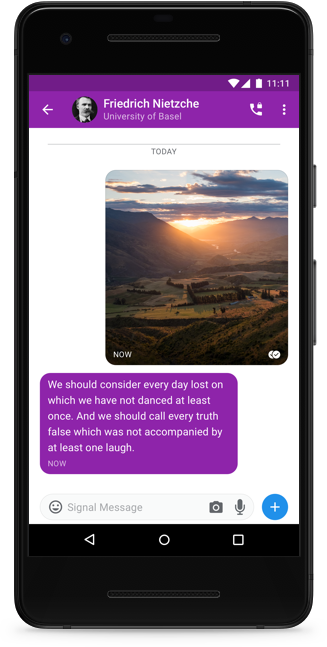 But other than that, it has a similar interface; great voice and video calling; great encryption; decent anonymity; and it's supported by a foundation that doesn't plan to monetize your use of the software. What's not to like? Signal is available for Android, iOS, and desktop. Sometimes I'm far away from my computer, but I need to log into the server to do something. ConnectBot is a great solution for moving SSH sessions onto my phone. ConnectBot is available on Google Play. 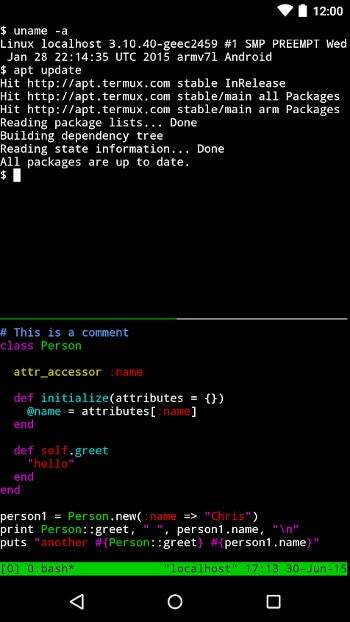 Have you ever needed to run an awk script on your phone? Termux is your solution. If you need to do terminal-type stuff, and you don't want to maintain an SSH connection to a remote computer the whole time, bring the files over to your phone with ConnectBot, quit the session, do your stuff in Termux, and send the results back with ConnectBot. Termux is available on Google Play and F-Droid. What are your favorite open source mobile apps for work or fun? Please share them in the comments. "Have you ever needed to run an awk script on your phone?" I can't say that I have. I installed Termux a while back and have never found a case where I need it. What use cases have you found for it? Hey Ben, are you serious? You've never had to write an emergency awk script on your phone? Sometimes I have to do some emergency surgery on config files or database table contents while travelling, and I find the Termux keyboard handling plus better interactivity with local files than with a somewhat spotty network connection and ConnectBot. When I'm in this spot it's often easier to first convert the database table to .csv, then use awk to transform the database table, then put the transformed data back. Thankfully, life has never handed me that particular lemon. Whenever I've had to do something like that, I've always pulled out the laptop instead. Obviously preferable! But packing the laptop around all day in the field when it's not part of field work... not always fun.